AMD’s flagship graphics card featuring dual-GPU, AMD Radeon HD 7990, gets a major price drop from its original MSRP of $1000, down to $699, more or less. The news was actually announced a couple of days ago by AMD, and if you haven’t been visiting online stores lately, you would be surprise that its price sits somewhere near a GTX 780, but offers more performance. The AMD Radeon HD 7990’s performance is on par with NVIDIA’s GTX 690 (currently their flagship dual GPU), and sits above the GeForce GTX Titan. Both the GTX 690 and GTX Titan are currently priced at $999 and up, respectively. This makes the AMD Radeon HD 7990 very very attractive for the PC enthusiasts and gamers out there. Obviously the HD 7990 becomes the better deal here, for only $699 you get a faster graphics card for a lesser price. 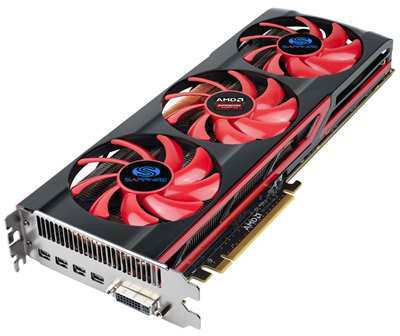 The Sapphire Radeon HD 7990 with GPU core clock of 950 MHz and 1000MHz Boost, and 6GB DDR5 sells for only $699.99. It has 4x mini DisplayPort and 1x Dual-Link DVI-I port, enabling you to connect up to 5x display monitors simultaneously using AMD Eyefinity. It also comes with 8 game coupons for Crysis 3, Bioshock Infinite, Tomb Raider, FarCry3, Deus Ex: Human Revolution, Hitman: Absolution, Sleeping Dogs, and FarCry3: Blood Dragon. The AMD Radeon HD 7990 features dual HD 7970 GPU (Tahiti XT) for a total of 8.6 billion transistors. 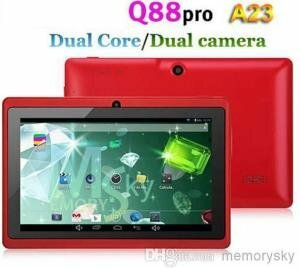 It has a total memory interface of 768-bit, core clock is at 950 MHz and memory clock is at 6000MHz. It also features DirectX 11, Shader Model 5.0, OpenGL 4.2, DirectCompute 11, OpenCL 1.2 and requires that you have at least a 750W PSU. If you’re not a fan of Sapphire, the MSI Radeon HD 7990 also sells for $699, while the XFX Radeon HD 7990 sells for $669 after a $30 rebate. I’m not really sure when will this price drop ends, or if the price will go up again (perhaps slightly). So this is your chance to have one of the fastest graphics card on the planet for a much lower price.